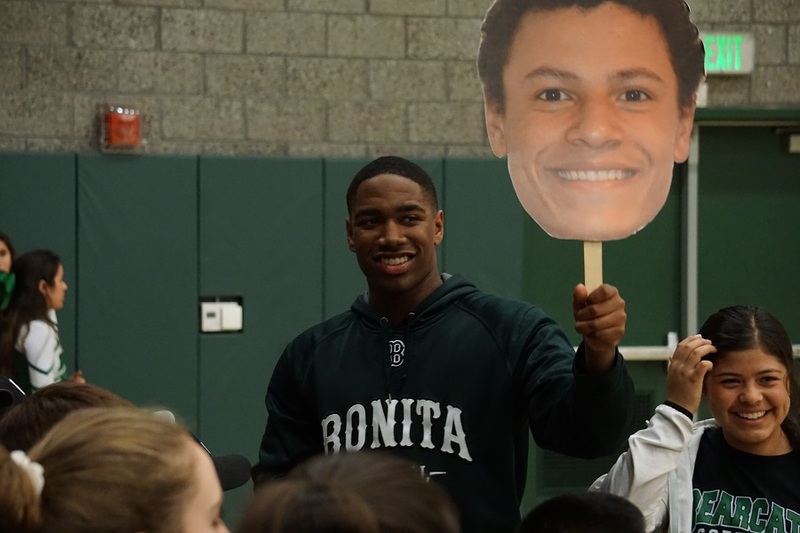 STICK-WORTHY: Bonita stuck it to Glendora late, with Isaih Horne playing big under the basket. LA VERNE, California, January 19, 2018 — Paced by Jamaal Barnes’ 17 points, Bonita pulled away late from the Glendora Tartans to post a convincing 62-53 win on their home court on Friday night. Leading 49-47 in the fourth quarter, the Bearcats reeled off a 9-2 run, powered by a rare 4-point baseline jumper from Jordan Lopez, which he completed after sinking the “and-one” free throw. 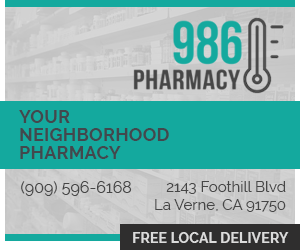 In the early going, Bonita bounced out to an early lead, but found itself trailing by 3 points at the end of the first quarter after back-to-back layups by Glendora’s Vanderik Woods, who finished with 17 points. Glendora held that same 3-point margin at the half, taking a 32-29 lead into the locker room. Glendora was beating Bonita with its 3-point shooting, but the Bearcats kept the contest close with their excellent free throw shooting. Midway through the third stanza, Bonita grabbed the lead, 36-34,on a three by Luc Peifer. Barnes also responded with a trey. Yet Glendora came charging back to lead 41-39. Then, with the shot clock expiring, Bonita’s Drew Szalay threaded the nets for another three to give the Bearcats a momentum-shifting 42-41 advantage entering the fourth quarter. In the final frame, Barnes jump-started Bonita, scoring on a turnaround jumper and another three, pushing Bonita’s lead to 47-41, which forced Glendora to call a quick time-out. And here’s Horne in the flesh. 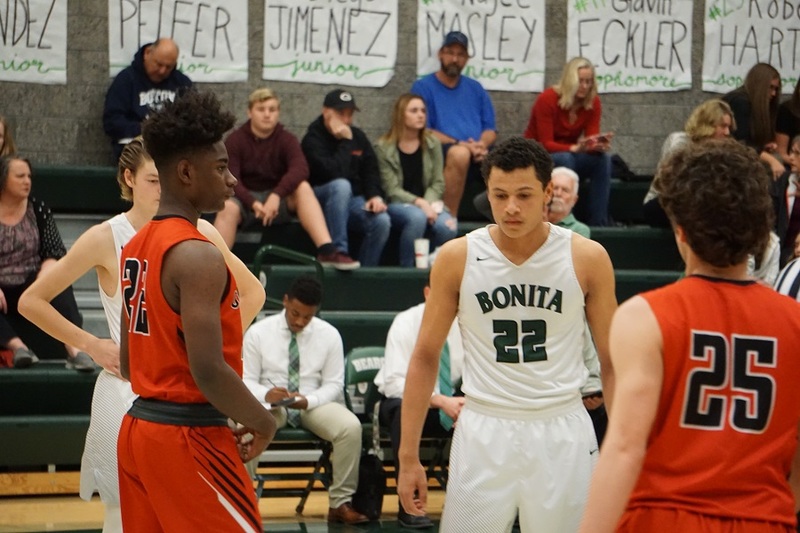 While Bonita continued to show a lot of heart and hustle, they also started getting sloppy with the basketball, which allowed Glendora to close the gap to trail Bonita by just two, 49-47. But after a pair of free throws from Lopez and another three-point rainmaker by Peifer, Bonita had fought off Glendora’s run to lead 54-47. And then came Lopez’s gut-buster — just the way Godley drew it up. Barnes was a big catalyst for Bonita. He also challenged the team to pick things up during a time-out. “Sometimes, players need to hear that from somebody other than the coach,” Godley said. With a coach on the bench and another on the floor, Bonita now is 2-2 in a competitive, well-bunched field. “That was a big one,” Godley said. 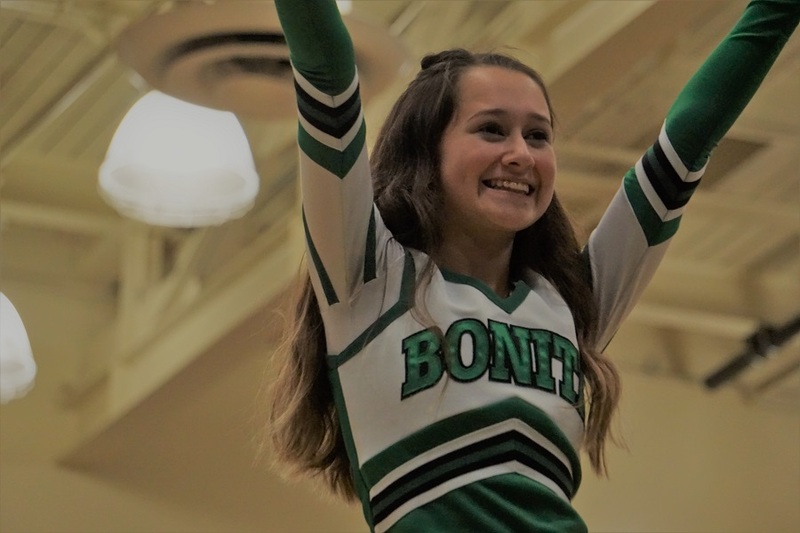 Bonita’s victory left fans exultant.